The biggest attractions of Panama’s highland towns are obvious. They have cooler climates than other parts of the country…and the expats who live here enjoy a laidback lifestyle surrounded by beautiful scenery. Boquete is definitely the most popular highland destination in Panama. It has always been a tourist town—which means it caters to travelers looking for good restaurants, hotels, and entertainment. 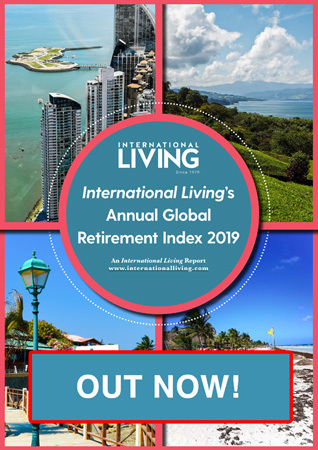 It naturally draws expats who are looking for good amenities, along with a great climate, diverse selection of housing, and lots of activities to participate in. 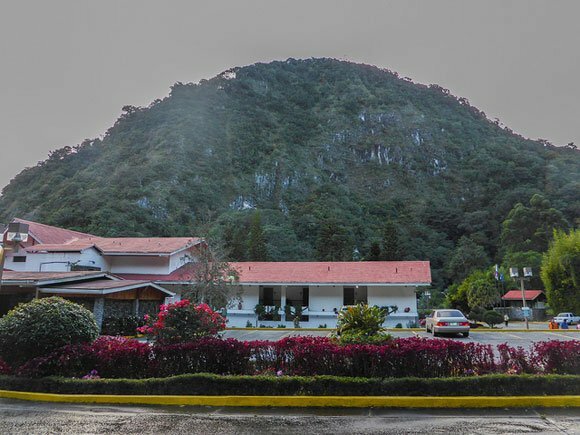 Boquete hosts several seasonal events, like the Flower and Coffee Festival in January and the Jazz Festival in February. The local BCP Theater—which is run by expats—oversees productions of plays, hosts concerts, and holds weekly lectures on a variety of subjects pertaining to expats. There are also cooking, art, and photography classes; spin classes and yoga, or you could volunteer for a local charity. There is never a shortage of new and exciting events going on each week, making this a great place to live for those who love being social and active. Another upside to living in Boquete is that you can get by without being fluent in Spanish. Since so many expats live here, many locals speak English, although it always helps to know a few Spanish phrases. Strategically, Boquete is located in a magnificent area of the highlands. The small forested valley lies in the shadow of Panama’s highest peak, Volcán Barú, and has a population of just over 19,000. It is only 30 minutes from the city of David (along the highway) and another 30 minutes to the beach. David’s airport has multiple flights a day to both Tocumen Panama International Airport and the Albrook “Marcos A. Gelabert” International Airport, making travel back to the U.S. easy. For those who want to live in a similar but quieter town, Volcán—a farming community located on the opposite side of Volcán Barú—might fit the bill. Volcán lies in a wide valley with a population of around 12,000. Homes here are located on large lots, making the town seem spread out. The vegetation is different than in Boquete. You will see the hillsides dotted with Ponderosa pines among the deteriorated ancient lava flows from the volcano. The draw for expats is the cost of living, climate, and lack of tourists. Volcán provides the basic necessities, as well as the locally grown fresh vegetables of the region. 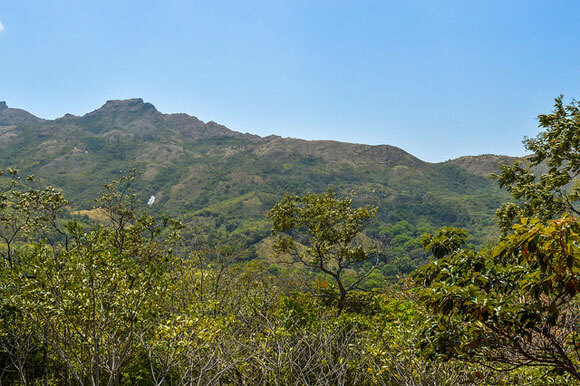 Fun here consists of hiking, birding, and gathering at friends’ homes to socialize. The expat population of Volcán is much smaller than Boquete, but those who live here love it. Volcán is about 45 minutes from the Inter-American Highway, and another 30 minutes from David. Boquete is about an hour’s drive on a shorter, more direct route around the volcano. 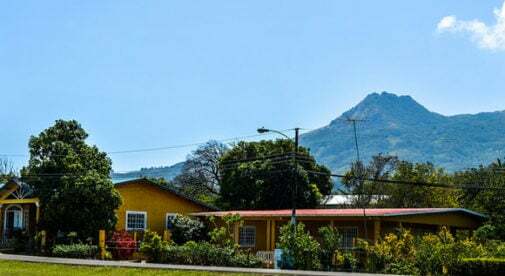 Volcán’s expat community is growing, as many people are seeking a more rural existence and finding opportunities to open new businesses previously not available in the town. Volcán is still reasonably priced for all types of housing, and considerably less than Boquete. Santa Fe is located about an hour and 15 minutes from the city of Santiago, and about three hours from Panama City. It’s small with a population of just over 3,000. Santa Fe has only one store, so most expats do their shopping in Santiago. One of Santa Fe’s attractions is the low cost of living, with reasonable real estate and rental prices. Along with the cool climate, the small-town charm, and laidback atmosphere, Santa Fe seems untouched and stuck in time. Currently there are not many expats living here. It’s been a well-kept secret, but as more expats fall in love with the lush beauty of the mountains, friendly locals, and the close proximity to Santiago and Panama City, it is expected that Santa Fe will grow. 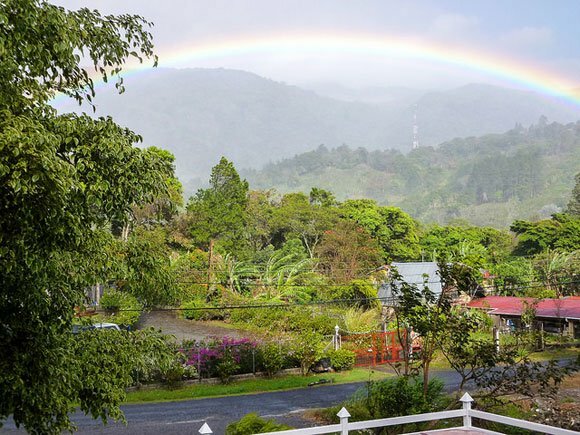 While all of these highland towns may at first appear similar, they are vastly different from each other and well worth exploring if you are interested in a cooler climate and a small-town feel in Panama.